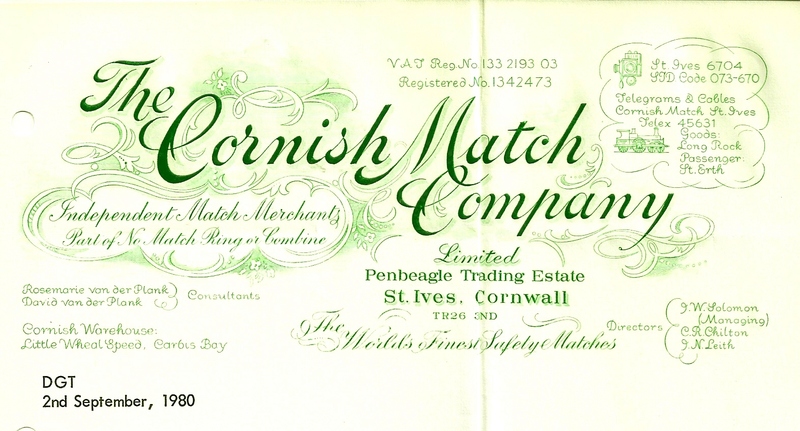 The Cornish Match Company (CMC) was registered under number 1074714 on 30th July 1962. It was started by David van der Plank and for several years operated from his home in Carnstabba, near St Ives. 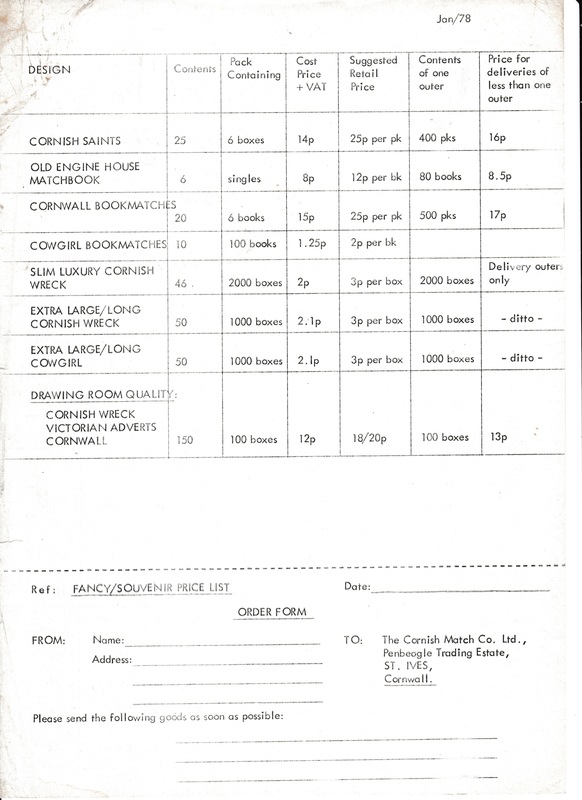 At first the boxes were from other companies but this very rapidly changed to using their own brands and in September 1962 the first “own” label was produced - a picture of Morvah Mine (Rosemergy), one of the largest local mines, painted by St. Ives artist Eric Mason. This label, although not numbered became No. 1 in the Old Cornish Mines Series. The next label to appear was for Dolcoath Mine near Camborne. This was based on an old print found by a local grocer. Over the next few years 21 labels appeared in the series which was intended to have 50. Problems with the Trade Mark for Old Cornish Mine took some time to resolve. 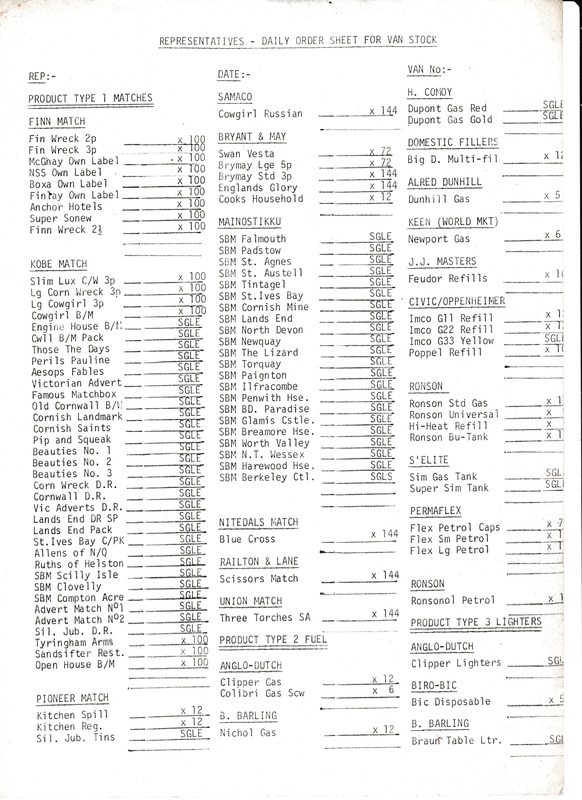 The registration number 840,801 was taken out on 24th October 1962. However, it was registered in the name of The Magnet Match Works from whom supplies were being obtained. 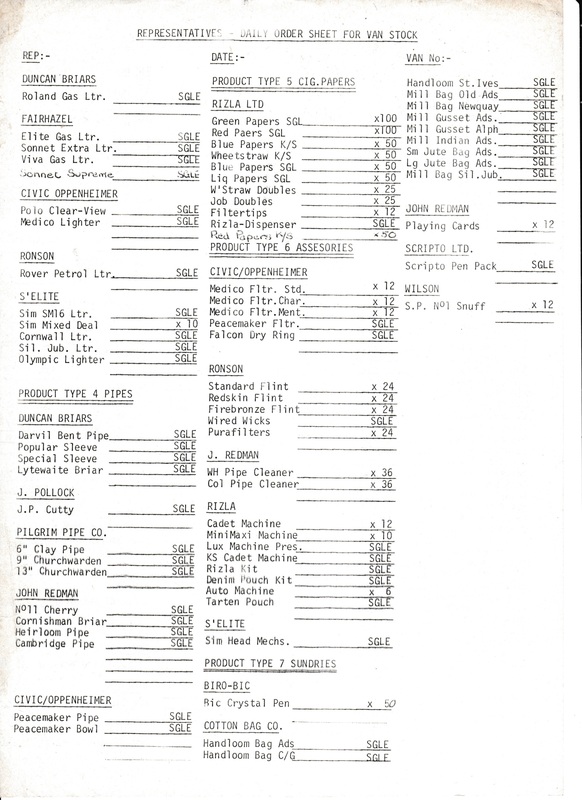 It was 13 years later that CMC were able to correct this and have the design registered to themselves under number 1,052,088 on 15th September 1975. CMC imported matches from Austria, Finland, India, Japan, Poland, Spain, Italy, USA. But all the Mines series were from Latvia, which was then part of Russia. 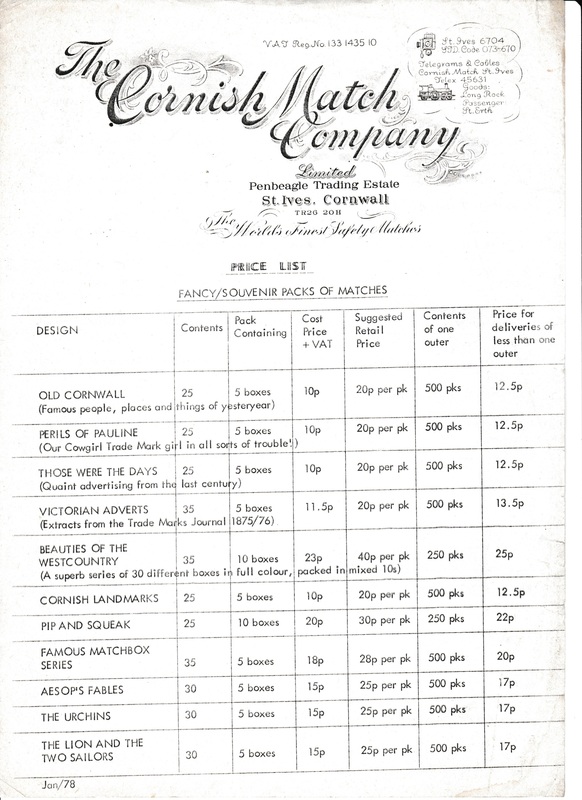 A great deal more about CMC is recorded in the publication “The Cornish Match Company” which may be obtained direct from the author, Ian W Blewitt.